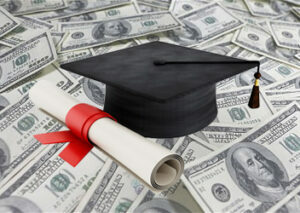 When it comes to getting a college degree, tuition will always be a challenging issue to face. If you’re academically great, it won’t be hard to get a scholarship. But what if you’re just an average student? If you are looking for free money to support your studies, you can rely on educational grants to give you the assistance you need. It’s not going to be easy, thus you have to work hard and follow these tips to get the odds in your favor. 1. Search for the appropriate grants. • Academic Competitiveness and National SMART Grants. 2. Fill in the Free Application for Federal Student Aid (FAFSA). FAFSA is the form used by the U.S. Department of Education to determine how much you and your family can contribute to the cost of your college education. It will look into your family’s income, assets, and other household information. Colleges and universities use this form to determine your eligibility for federal, state, and other financial aids such as grants, loans, and work-study programs. Most college’s grants have deadlines as early as mid-February, and the reserved fund might be dwindled before the deadline. So if you are an upcoming college freshman, you can submit your FAFSA as early as now. 3. Prepare the needed documents. You have to contact the financial aid offices of the college of your choice a year before going into college. You have to know the deadlines and required documents. You can rely on a professional writer for your grant proposal needs, too. If you are applying for educational grants and would need a proposal to submit to your target funder, trust AlliedGrantWriters. Visit its web site at www.alliedgrantwriters.com or call 1 (800) 825 2314.